This is a show-stopping bug, as I can't really complete development of my "mobile project" until all of my frameworks are in-place and fully functioning. 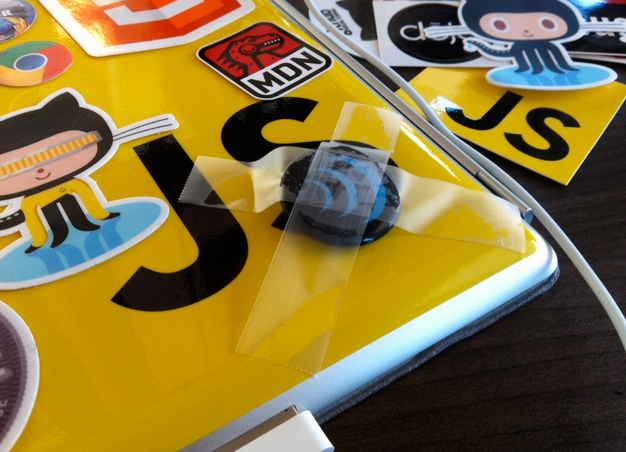 You see, I had been preparing to cover the back of my new iPad with stickers when I realized that I had no jQuery sticker. "How can that be?" 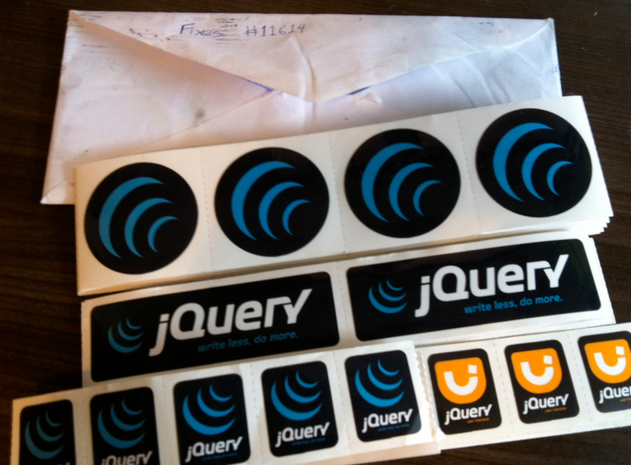 I thought, as I've got jQuery pins, shirts, mugs... even a canteen. 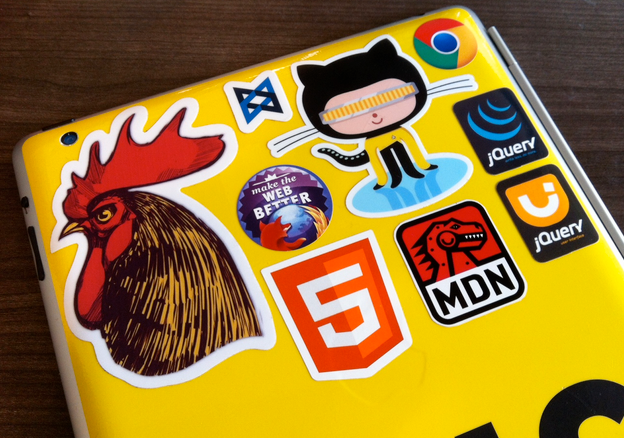 But no jQuery sticker. I hope for a prompt fix to this critical issue. I've been trying to create a plugin with limited success, but clearly this quick fix isn't going to be a long-term solution to the problem. Seems like the appropriate resolution. Does anyone has a "patch" for it? 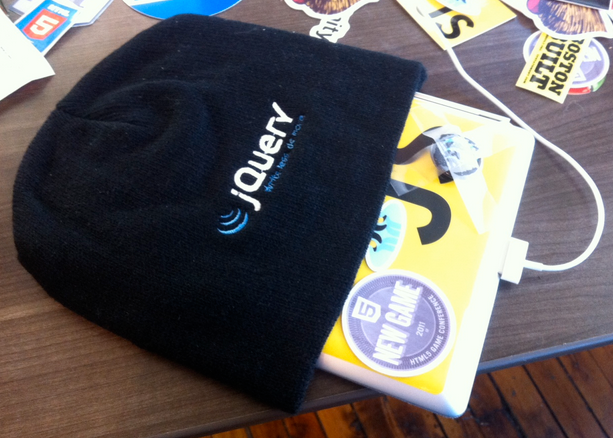 On a somewhat related note, the "jQuery Winter iPad Sleeve" Richard gave me doesn't seem to fit my iPad. Interestingly enough, it seems to fit around my head perfectly, but that's a silly place to put an iPad sleeve. I have no idea why I mentioned that. Either way, I'd like a full refund. On a completely unrelated note, I didn't pay anything for the iPad Sleeve. 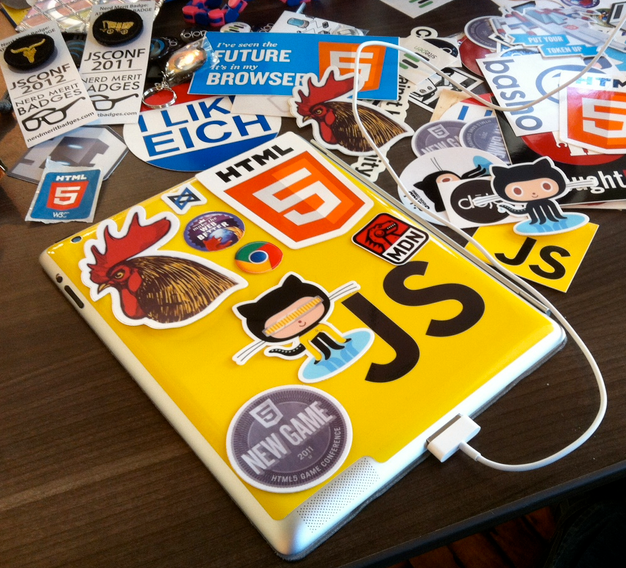 After carefully weighing my options, I decided to go for a two-pronged approach, enabling both jQuery and jQuery UI to work better than expected on my mobile device. Yeah, those are short term fixes. The true long term fix would be to delete this entire thread if I get 1 more email about it.